Adobe has confirmed its acquisition of Marketo, paying US$4.75 billion to acquire the B2B marketing automation player. The deal, announced today, will see Marketo become part of the Adobe Experience Cloud, providing a strong B2B marketing automation platform to join the enterprise martech stack. The news comes just a week after rumours began circulating about a potential acquisition, as well as two years after Marketo was acquired by private equity firm, Visa Equity Partners, in a deal worth US$1.8 billion. The purchase price of US$4.75 billion is a hefty price tag on Marketo, which reported revenue of US$321 million last year, and makes this acquisition one of the largest to occur across the marketing technology lumascape. 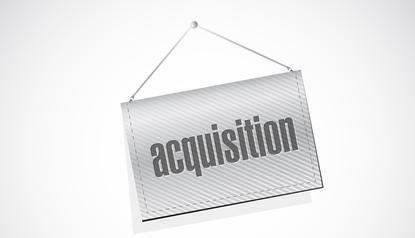 In a statement, Adobe said the acquisition brings together the analytics, content, personalisation, advertising and commerce capabilities of its own customer technology cloud, with Marketo’s lead management, and account-based marketing technology for B2B organisations. Adobe executive VP and general manager of digital experience, Brad Rencher, said buying Marketo will help widen Adobe’s lead in the customer experience space across both B2C and B2B, “putting Adobe Experience Cloud at the heart of all marketing”. As part of the deal, Marketo CEO, Steve Lucas, will join Adobe’s senior leadership team, reporting to Rencher. He commented that both companies shared an “unwavering” belief in the power of content and data to drive business results. “Marketo delivers the leading B2B marketing engagement platform for the modern marketer, and there is no better home for Marketo to continue to rapidly innovate than Adobe,” he said. The deal is subject to customary purchase price adjustments and conditions and is expected to close in the fourth quarter of Adobe’s fiscal year. Until the deal closes both companies will continue to run independently. Marketo now boasts of 5000 customers globally, mostly in the B2B sphere, as well as an ecosystem of 500 partners. Adobe, meanwhile, has largely built its base of clients in B2C-oriented organisations. In a blog post, Lucas said a common thread in customer conversations throughout the past two years has been the request to deliver and be part of a seamless end-to-end customer experience. "Today, we’re one step closer to making this a reality for our thousands of customers and partners worldwide," he said. "Adobe and Marketo both share an unwavering belief in the power of content and data to drive business results. Together we will deliver an unrivaled solution that will place customer experience and engagement at the heart of digital transformation. This announcement is a momentous occasion for Marketo, as it signals the next phase of our company’s growth. "Marketo’s exceptional lead management, account-level data, and multi-channel marketing capabilities will combine with Adobe’s rich behavioral dataset to create the most advanced, unified view of the customer at both an individual and account level. The result will be an unprecedented level of marketing engagement, automation, and attribution power, all with a goal of delivering end-to-end, exceptional experiences for our customers, where and when they want them." As previously reported by CMO last week when rumours first emerged, the deal was neither a surprise nor expected by industry analysts. IDC principal analyst, Gerald Murray, said Adobe gains significant revenue as well as a mid to enterprise B2B customer base through the deal, the latter of which should be a good match for its Magento commerce base. Adobe acquired Magento in May for US$1.68 billion, purchasing its way into the ecommerce space. "But there are obviously huge functional overlaps in the marketing campaign management space making it doubtful that it will be entirely additive," Murray said. "Marketo is also tied to Google cloud, while Adobe is committed to Microsoft Azure. That will need to be reconsidered. "Under private equity ownership, Marketo has been under greater pressure to cut cost and boost bottom line performance. But is it a good match? It's certainly a surprise. If Adobe wants to be the customer experience system of record I'd think they'd want to look into capabilities outside marketing like the Magento deal." Constellation Research founder, Ray Wang, was all for the deal, and also noted the growing battle between Google and Salesforce on one side, and Adobe and Microsoft on the other. "The common data model is appealing to CIOs and this gives Adobe the ability to go head-on with Salesforce on the marketing cloud," he claimed. "We are ultimately seeing a battle between Adobe/Microsoft and Google/Salesforce." Overall, Wang saw the combination bringing a lot of credibility for creative to commerce from B2B2C and giving both vendor's customers the opportunity to start consolidating the larger parts of their marketing stack. "It's nice to see Adobe back in the game of bringing outside talent and tech into its stack. It's a better use of cash than stock, buy backs and dividends," he added. CEO of account-based marketing (ABM) vendor, Engagio, Jon Miller, who was a co-founder of Marketo, noted the positives in the two sides coming together. “With this move, Vista [and Marketo employees] get a great exit, and Adobe gets a stronger position in B2B. Adobe has long been a leader in B2C marketing, but has been a non-player in B2B. I think this highlights the fundamental fact that B2C marketing and B2B marketing are very different beasts that need different technology approaches," Miller told CMO. With even further specialisations coming into the B2B space, such as ABM, the distinction between the two will become even more important in coming years, Miller predicted. "So you can expect to see even more bifurcation between B2B and B2C,” he added. Raab & Associates principal, David Raab, saw Adobe facing tougher competition in B2B there than B2C due to Salesforce and Oracle/Eloqua being so entrenched. But with Marketo boasting of the most clients of anybody in the B2B marketing automation space, so it’s the strongest entry point for Adobe. "But I don’t see much synergy between the two businesses. Marketo has some enterprise clients but the strength is in the mid-market, which is a tough place to make money," he commented.